Ford will today reveal ahead of the Geneva Motor Show a new Ford Fiesta ST200 model that delivers 10 per cent more power and 20 per cent more torque, with 200PS and 290Nm from a specially calibrated 1.6-litre EcoBoost petrol engine. The most powerful production Fiesta ever, the Fiesta ST200 will sprint from 0-62mph in 6.7sec, and will feature an exclusive specification including a unique Storm Grey exterior, distinctive machined matt black alloy wheels and special interior detailing. Production of the Fiesta ST200 starts from June with customer deliveries this summer. 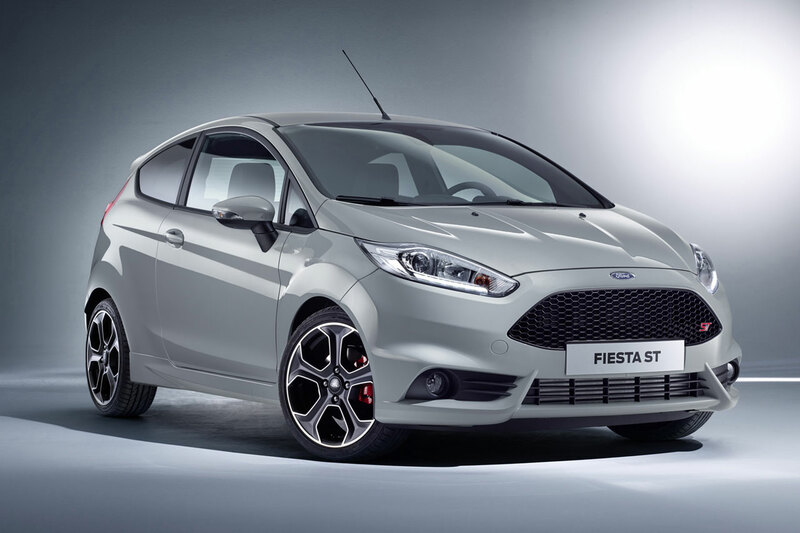 In addition to the exclusive exterior colour and 17-inch alloy wheel specification, Fiesta ST200 models also will feature red painted brake callipers and an enhanced interior with unique partial leather Charcoal Recaro front seats and contrasting silver stitching, alongside illuminated scuff plates and seatbelts with silver detailing. The Fiesta ST200’s 1.6-litre EcoBoost engine can deliver an additional 15PS and 30Nm of torque for up to 15 seconds using transient overboost. 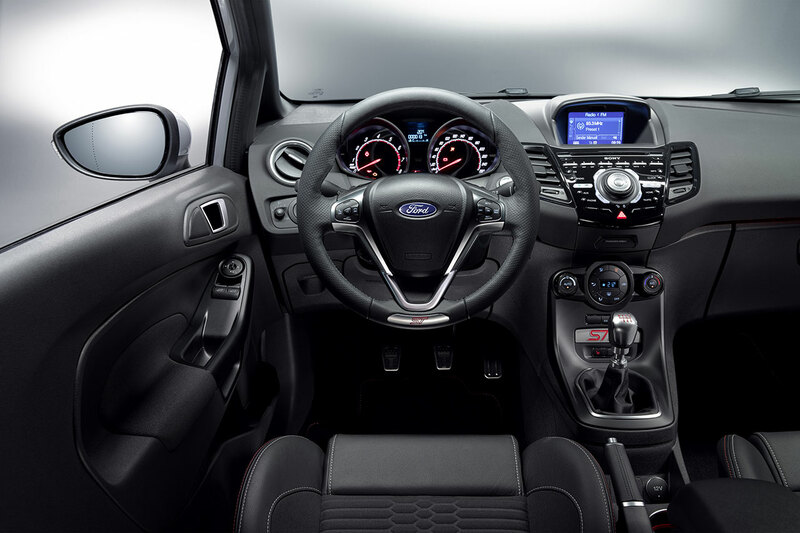 A 4.06 ratio final drive – shortened from 3.82 in the Fiesta ST – further enhances in-gear acceleration for improved drivability and an even more fun to drive experience. Top speed is 143mph. 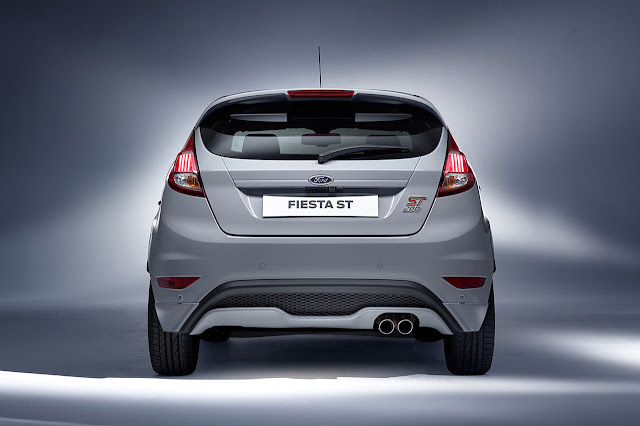 The Fiesta ST launched in 2013, delivering 182PS and 240Nm of torque from a 1.6‑litre EcoBoost engine and 0-62 mph acceleration in 6.9 seconds – quickly establishing itself as the Europe’s leading compact performance hatchback and earning more than 20 awards around the world within its first year on sale. 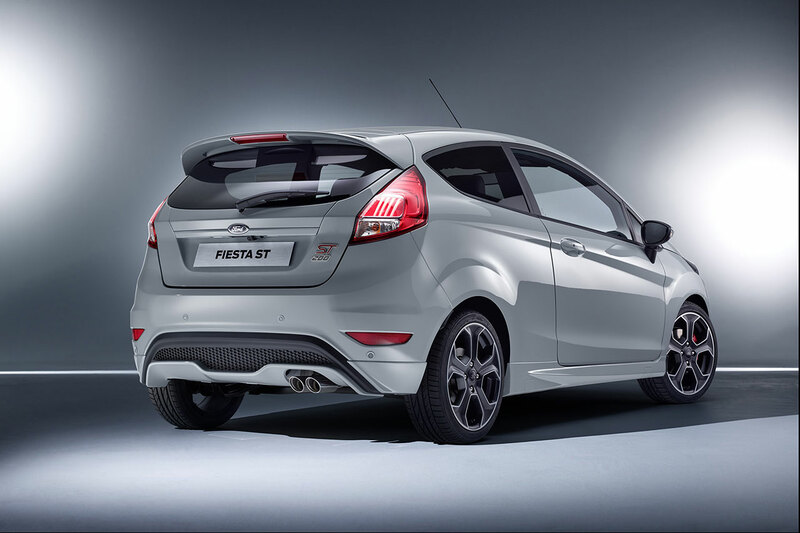 Ford has since sold 30,000 Fiesta STs in Europe, of which over 19,200 were in Britain. Ford earlier this month confirmed that four Ford Chip Ganassi Racing Ford GTs – two competing in the 2016 FIA World Endurance Championship (WEC) and two in the 2016 IMSA WeatherTech SportsCar Championship –will race for GTE Pro class glory at the iconic 24 Hours of Le Mans endurance race on June 18-19. Ford is returning to Le Mans 50 years after achieving a legendary 1-2-3 finish at the 1966 race with the original Ford GT40 race-car. The four cars will carry race numbers 66, 67, 68 and 69 in a nod to Ford’s four successive Le Mans victories between 1966 and 1969. Accompanying the race- and road-car Ford GTs in Geneva will be four Ford Chip Ganassi Racing Le Mansdrivers; Stefan Muecke, Olivier Pla and Andy Priaulx from the WEC; and Dirk Mueller from the IMSA championship. The pinnacle of the Ford Performance line-up, the all-new Ford GT serves as a technology showcase for EcoBoost performance, aerodynamics and lightweight carbon fibre construction. The Ford GT will be one of the most exclusive Ford vehicles ever with limited volume sold around the world and production for customers in Europe starting late this year.